Snorkeling means swimming on the surface of a water while equipped with a diving mask, a shaped tube called a snorkel, and usually swim fins. Combining these tools it allows the traveler to observe underwater for extended periods of time with relatively little effort. The primary attraction of snorkeling is to observe underwater life with natural beauty. It include coral reefs and their denizens, such as fish, starfish, sea urchins and mollusks. Snorkeling in sandy areas may allow sighting of rays and various flatfish. Other organisms that can be seen while snorkeling include various forms of seaweed, jellyfish, shrimp, sea turtles, and occasionally anything else which may be found in the ocean. Many of the organisms found in reef locations are vibrantly colored and very abundant, making for an engrossing experience. Scuba diving in devbag and Tarkarli is one of the most adventurous water sports. You not only experience the sea, but you indeed get to experience a lifetime. Scuba Diving in Tarkarli is not just a beautiful sight, but is one of the finest experiences with the incredible marine life under the water. Scuba diving in devbag is a form of underwater diving in which a diver uses a self contained underwater breathing apparatus to breathe underwater. With the Scuba equipment such as scuba masks, breathing regulators, fins and gauges while doing Scuba diving, scuba divers can explore the underwater world. 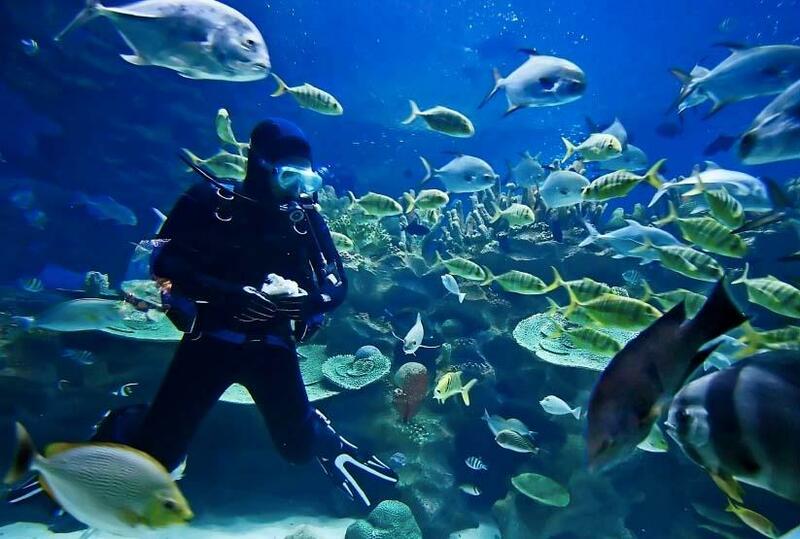 You will get a perfect opportunity to try Scuba diving in Tarkarli. The waters are warm, clear & full of varied marine-life guaranteeing some of the best scuba diving and snorkelling holidays anywhere in Indian subcontinent. 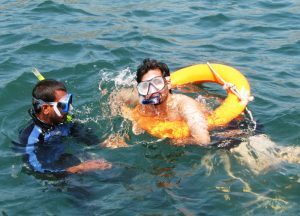 Southern region of Sindhudurg fort is the primary location of snorkeling site in Maharashtra. This makes paradise a potential diving destination of India. 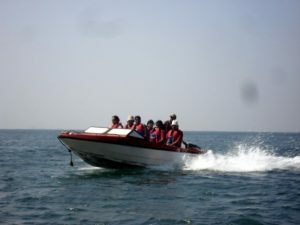 There are three to six people in the boat and you get this golden opportunity to not just thrill with the speed but also explore the Tarkarli and Devbag coastline. Leave your worries and fears back at home, carry your zeal and pack your power for this truly amazing and stimulating water sport out here. This is your true test with the love you have with water, certainly. Adventure lovers hit this place each year to play along with the hypnotizing adventure offering here, only to engulf, excite and amuse you thoroughly. Especially for the ones who love being consumed and capitulated to the challenging waves, splashing oceans and thrilling rush of the water, Jet Ski is one of the most popular adventure watersports. 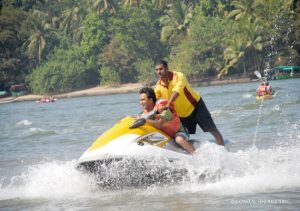 You would be thrilled when the water of the sea splashes on your face, soothing and calming you, while you ride and indulge in this exceedingly exciting and thrilling adventure out here.Jet Ski is indeed one of the most adventurous watersports in Maharashtra, while tourists come from all parts of the world to experience its fullness and expertise. Banana Boat Ride will give you exciting moments that can be experienced and enjoyed by the entire group you have. This is your chance to practice the ecstasy and the fun, while you scream your lungs out in this remarkable watersports. Another fun filled and exhilarating watersports activity for all your excitement and water enthusiasts, come and experience it all by you. 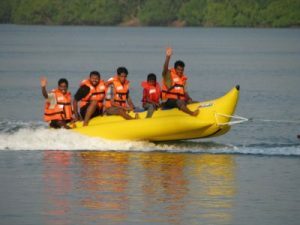 Banana Boat ride is another highlight of the amazing and thrilling watersports. The banana boat ride offers space for 4-6 people in a go, while the ride is full of fun, screams, laughter, excitement, adventure and memories. Enjoy your rides in motorized inflatable boats, whereas you haul at the water around you. 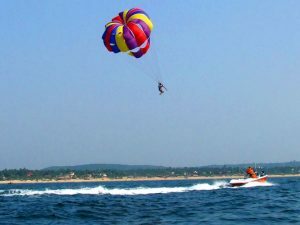 Experience the bird’s eye view of the hypnotizing surround, while you get to explore through and redefine adventure out on a para-sailing spree in Tarkarli. Soar over the waves of the sea and the entire coastal region and experience a never before enjoyment, surrendering yourself to the ultimate and amazing watersports. Feel just like a bird, fly high, up in the sky and get delighted to the engrossing and truly terrific adventure sports in the country. Tarkarli Scuba offers some of the most daring, electrifying and tasteful watersport activities that would certainly fill your heart with true adventure, unmatched cordiality and some of the most looming escapade. Rise and descent in the amazing parasailing adventure out here, wherein the equipment used is of high quality, observed and researched well and apt for keeping the risk factor and safety features to guide you through all in place.